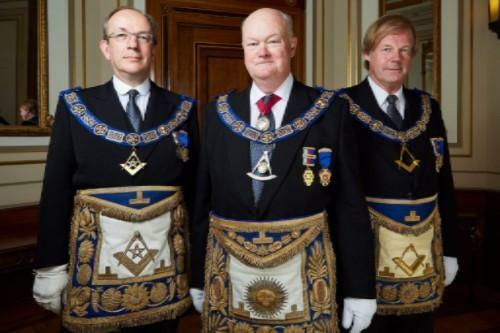 Tonight Sky customers will be taken exclusively behind the scenes of the world’s oldest social network later this year with a new four-part documentary: Inside The Freemasons. With the first episode being shown tonight on Sky, the documentary features the most in-depth look ever at the Freemasons in the run up to its 300th anniversary in 2017 and discovers the truth behind the ancient rituals and closely-guarded practices of this membership organisation. With footage of Freemason ceremonies, never seen before on television, Inside The Freemasons uses unprecedented access to the United Grand Lodge of England and its Lodges all over the country to introduce viewers to members of the comradely order as it approaches its tercentenary next year. Produced by Emporium Productions, Inside the Freemasons will discover what it really means to be a Freemason in 2016. Viewers will learn the truth behind legends such as the regalia, the jewels, the handshakes and the symbolic working tools as they get to know Masons from all walks of life. John Hamill, Director, Special Projects at the United Grand Lodge of England, said, “As we approach our Tercentenary it is fitting that we mark this auspicious occasion by very openly sharing a look at who we are, what we do and what we stand for. Myton on Swale Village Association’s recent appeal to install a defibrillator in the village has been successful, thanks to help from the Forest of Galtres Lodge. The total required was achieved with a cheque for £100 presented by Charity Steward Andrew Fox to organisers Nigel Glew and Julie Midsummer. 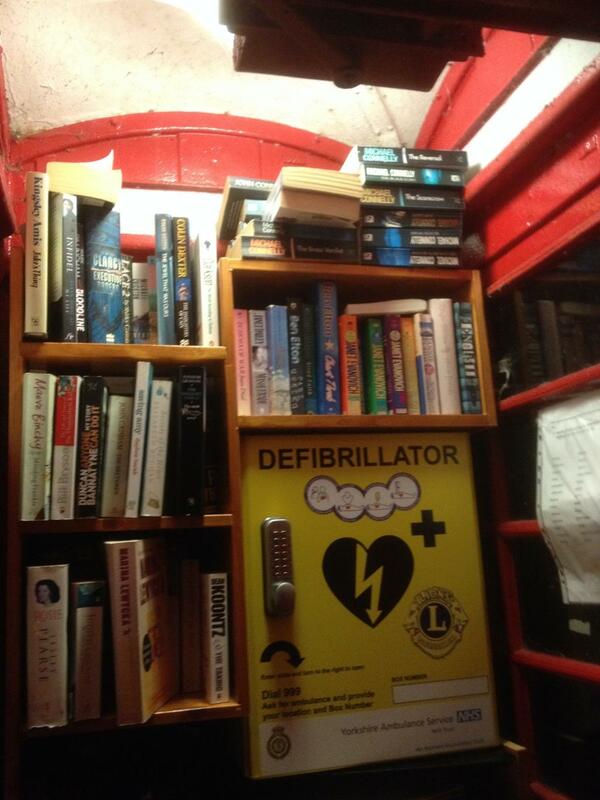 The village came up with the ingenious idea of installing its new defibrillator in a telephone box, which also cleverly doubles up as the local library! 2487 Squadron is an excellent organisation providing strong discipline and leadership opportunities to young boys and girls in North Yorkshire. It is well supported by its civilian instructors and committee members. The Squadron is based in the town of Easingwold, but also serves the surrounding villages. It relies heavily on its minibus to bring cadets to its twice weekly evening meetings. Lack of a minibus would seriously affect those cadets living outside Easingwold. Their current vehicle is approaching the end of its life and they are looking to replace the vehicle. A sum of between £18,000 and £22,000 is needed to purchase a replacement vehicle. The mini bus is made available to other local organisations, but current rules bar them from hiring it out formally. Users are therefore asked to make a donation to its ‘Minibus Fund’. Other fund raising activities include bag packing sessions at York supermarkets and assisting at the local annual agricultural show. 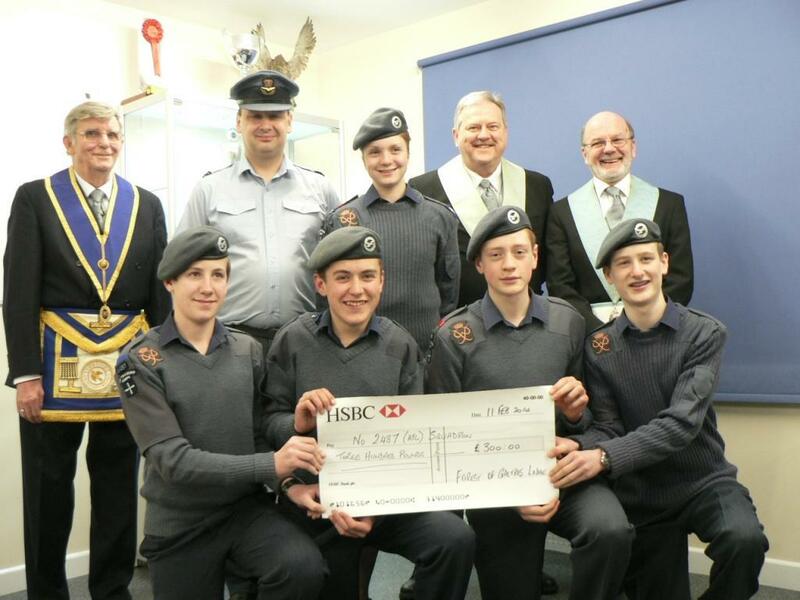 The Lodge is also looking to Provincial Grand Charity for further support on behalf of Squadron 2487. Each year the Forest of Galtres Lodge helps the nearby local communities of Huby and Sutton with their agricultural show. This year's show is on Sunday 28th July 2013, and is a great day out for the whole family . Lodge member Derek McLuckie is on the Show Committee and is responsible for control of the entry gates and car parking. Of the three entry gates, the Lodge takes responsibility for perhaps the most important, the Red Gate, which caters for the horse boxes, traders, vintage vehicles and disabled access. This voluntary support provided by the Lodge is promoted at this entrance. This helps to increase awareness of Freemasonry in general, as well as generating enquiries from those interested in finding out about the benefits of joining the Forest of Galtres Lodge. Fingers crossed for some better weather than last year!